Archaeologists from the universities of Pennsylvania and Harvard have used an unlikely source to give fresh perspective on the ancient mysteries of the Middle East: declassified spy plane images from the Cold War. Emily Hammer and Jason Ur from the University of Pennsylvania and Harvard University respectively have scoured through extensive archives of high and low resolution images taken by U2 spy planes from across Europe, the Middle East and central eastern Asia uncovering a “goldmine” of archaeological evidence. According to a press release from the University of Pennsylvania, the experts have uncovered stone-wall structures that date back 5,000 to 8,000 years, used to trap gazelle and other animals. In the declassified images the pair have spotted many historical and archeological features, including prehistoric hunting traps, 3,000-year-old irrigation canals, and 60-year-old marsh villages no longer visible today. The only comparable images of this kind have been retrieved by the CORONA spy satellite program between 1959 and 1972 but the U2 images are of a higher quality. 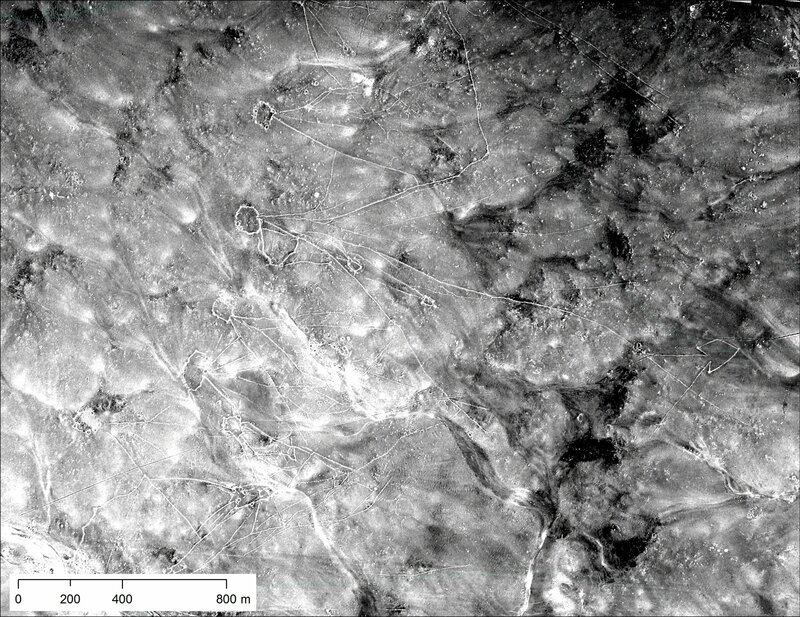 Though the pictures from the spy planes were declassified in 1997, this most recent work, published in the journal Advances in Archaeological Practice, marks the first time experts have sifted through the important images. The process of examining and categorizing all the images was time consuming and at times tedious but the U.S.-led team were nevertheless excited by the prospect of new discoveries. One canal system shown by the images in northern Iraq has given clues as to the methods of governance used by the region’s early rulers. “The Assyrians built the first large, long-lasting, multi-cultural empire of the ancient world, so many people are interested in how they organized territory, controlled people, built their huge cities, and managed the land,” Hammer says. “The irrigation system fed the royal capitals, made agricultural surplus production possible, and provided water to villages,” she added.